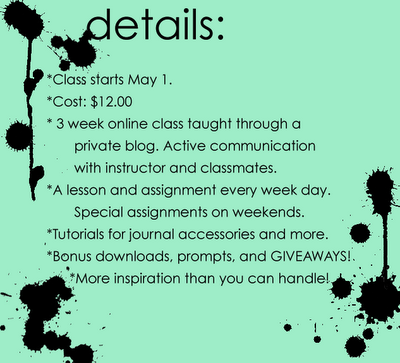 The next exciting thing that I wanted to bring to your attention is an AWESOME journal class that is coming up!! As I have said a million times, Elaine, is one of my very favorite journal-ers. 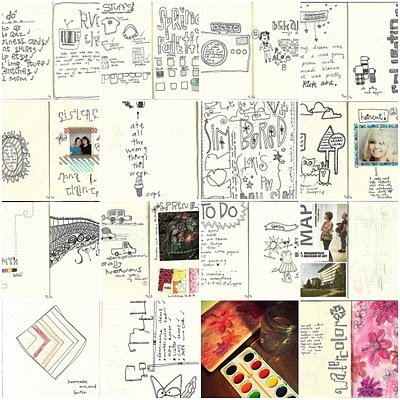 Her work is original, adorable, and so very very inspiring. Anyway, Elaine is teaching an online journal class, her very first, and I am BEYOND excited to be taking it. It is only $12 (what a steal) and I can pretty much guarantee it will be worth every single penny. Here are the details of her new class, "ink blots." Seriously you all, check it out, sign up, and let's be classmates!! Have a great Monday and I will see you tomorrow!! I love the new blog look!! Aww! 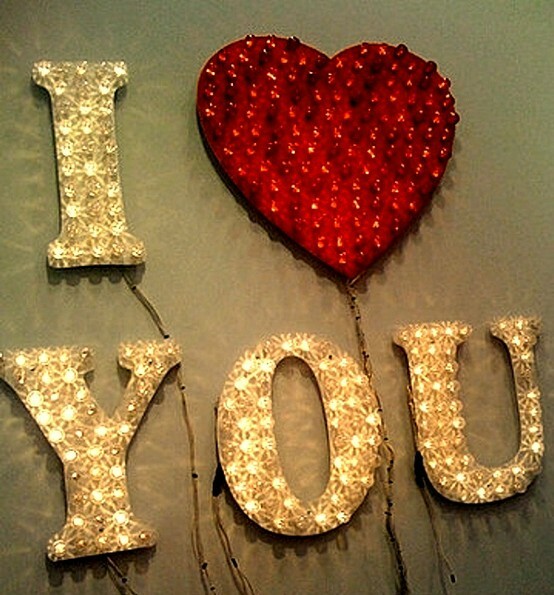 I ♥ you too! If I had an extra $12 I would totally take the class with you. I miss your classes already (but still need to catch up a bit!) and I can't wait 'til you do another one. Anyways, I'll be emailing you later. we'll be classmate, i have already sign in elaine's class. The new look is really nice. I also signed up for Elaine's class!